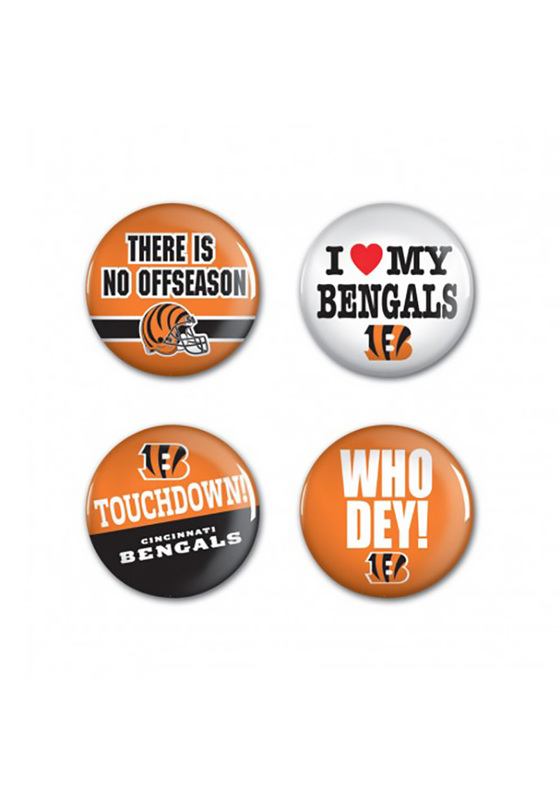 Highlight your Bengals spirit with this Cincinnati Bengals 4 Pack 1.25 Inch Button. This Button features a 4 Pack of different Bengals logos. Go Bengals!